The Mantra designers team present the Comfort collection an elegant minimalist design concept to transmit smooth ambient light in their wall lamps and especially their “tower” floor lamp whose small windows filter the light in an exceptional way which includes a t-5 fluorescent tube (54W) and aluminium finish. 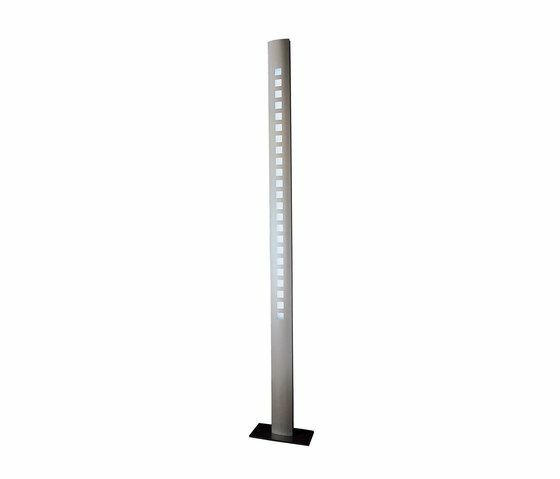 The wall lamps in the horizontal position use built-in G9 (60W) halogen light with a chrome finish and vertical sections use GU10 (50W) with aluminium finish. They are all guaranteed by Mantra according to EC legislation.